The figures included in this poster were copied from the following Codex: Borgia, Vaticanus and Fejéváry-Mayer. The design follow the style of previous posters made by Dr. Renato Lemus. At the top the Calmecac (from nahuatl: calli- 'house', mecatl- 'habitant' y -c 'place') there was the school for sons of noble Mexicas from Mexico-Tenochtitlan. In this institute they were trained to be priests, elite warriors, judges, teachers or rulers teaching them history, astronomy and other sciences. At the center, Chalchiuhtlicue and a representation of the sun and the moon. In Mexica's mythology Chalchiuhtlicue (from nahuatl: ‘which wears jade skirt’) is the goddess of lakes and other water bodies. 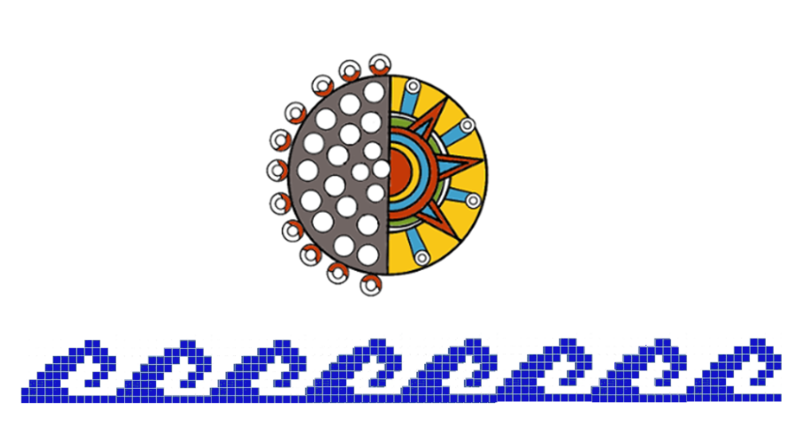 In the Aztec myth of "The five suns creation" (allegory of the creation of the world five times) Chalchiuhtlicue was the main deity of the fourth sun, a world destroyed by a massive flood that transformed all human inhabitants in fishes. 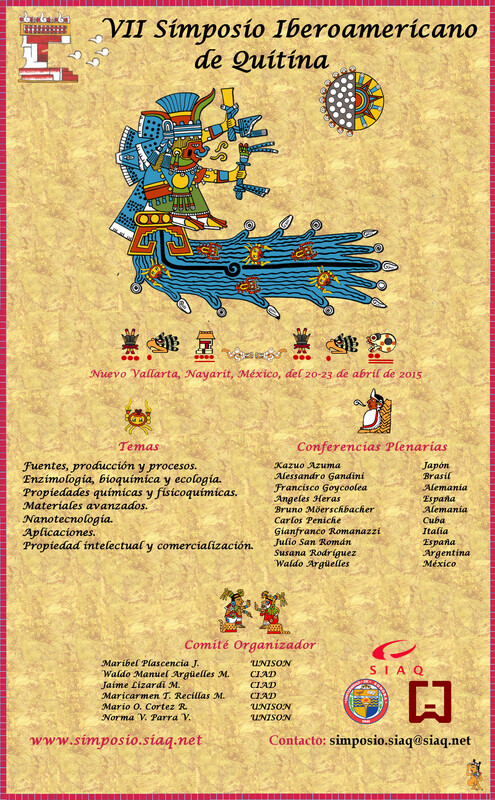 Directly below Chalchiuhtlicue are the symposium dates accordingly to the tonalpohualli (the count of the days).